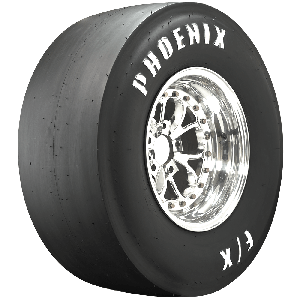 Available from Coker Tire Company, Phoenix Drag Race tires feature the very compound that made these tires champions at the track. Made in the USA and proven winners, Phoenix slicks and front runners are available from the world's leading supplier of collector tires and wheels. 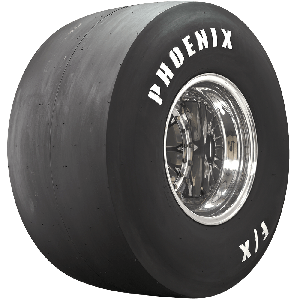 Born of Firestone heritage, Phoenix drag race tires are available in many sizes for the front and rear of modern and nostalgia drag cars. With popular compounds and a wide variety of fitments, the Phoenix product line is a great choice for Sportsman drag racers who are looking for the extra edge on the competition. 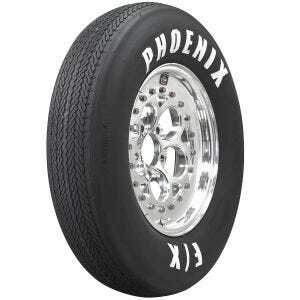 Phoenix offers drag slicks in bias ply and radial construction, as well as DOT approved front runners to fit 15- and 17-" wheels. 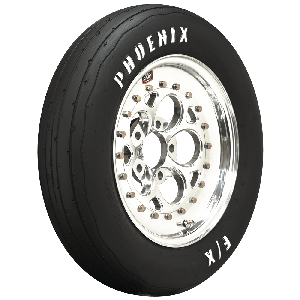 Phoenix drag race tires are made in the USA, and provide big time traction for bracket racers, including door slammers and dragsters, as well as the wheels up world of NHRA Super Stock drag racing. Got a question about size or compound? Contact a Tire Expert now.